Sporting Family Change (SFC) is a needs-led charity, founded in 2014 working with communities across Bath and North-East Somerset. We use sport to empower, inspire and motivate local families. We adopt a fully inclusive approach working alongside the whole family, offering fun sports and healthy activities to improve fitness and build confidence. This helps inspire and motivate the whole family, encouraging them to raise their aspirations and make positive long-term lifestyle changes. Changes may appear to be very small, but for many of the families these are often hugely significant. We believe the best way to support and empower local families is to build their trust in us, build relationships and as a result a sense of belonging. Ensuring that everyone feels genuinely valued for their contribution is key to all our activities. To achieve this, we offer a flexible, caring, solutions-focused approach when engaging with families and provide a wide range of tailor-made programs including our Whole Based Mentoring, the H.O.P.E. Programme (Health Opportunities through Physical Education) and our social activities program for young adults with learning disabilities. Jimmy grew up in Bath and sport has always played a crucial role in his life, leading him to found Sporting Family Change (SFC) in April 2014. He is immensely passionate about supporting local families and uses various activities to engage with the whole family and whatever needs they have. He aims to build confidence, resilience and motivation with families to make positive lifestyle changes. Experience has taught him that for these changes to be sustainable, working with the whole family as a collective unit and not just the child or parent separately is vital. Jimmy is married to Lynda and has two children Jess and Tobias. John joined SFC in September in 2015 and is responsible for providing the Whole based Mentoring Programme delivered in educational and community settings. He has spent numerous years working alongside children and families in a variety of crucial roles and has since used this invaluable experience to produce positive change and self-growth amongst both the individual and collective family unit using sports engagement. A keen footballer, John has played in a local Bath league for many years. He is also a proficient tennis player and regularly enjoys a game at his local sports club. Meg became an instrumental full-time team member at SFC in October 2016 after joining on a part-time basis a year previous. She helps deliver our Mentoring Programme and the H.O.P.E. Programme to individuals and families situated in the local community. Meg has a strong background in childcare working with a diverse range of families – including a family in New Zealand where she occupied the role as a live-in nanny. She loves to travel and has enjoyed many adventure activities! One achievement she is significantly proud about is reaching the summit of Kilimanjaro with SFC in June 2016. Hayley started volunteering for SFC in July 2014 and became a permanent staff member in July 2015. She is responsible for overseeing and delivering the highly-valued H.O.P.E Programme which works with local families who face challenges. She also manages our social club for adults with learning difficulties. Hayley enjoys pushing herself by taking on various physical challenges such as climbing Mount Kilimanjaro cycling from Bath to Paris with SFC. Next on her fitness contests is a rickshaw run across India! 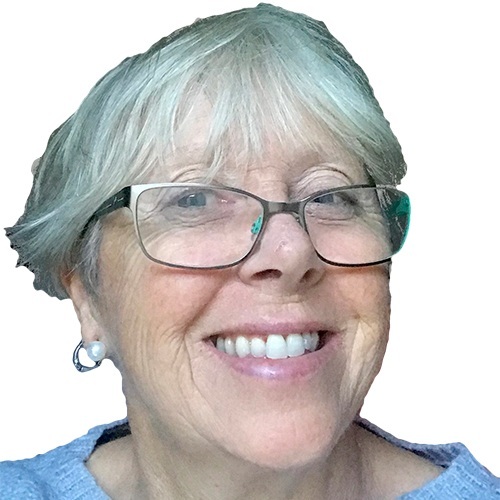 Jilly has worked in the charitable sector for over 20 years and during this time she has played fundamental roles in the local community working with local donors, professional advisers and charitable trusts in addition to all aspects of grant making. In previous roles, she has also managed a local Age UK branch and worked for a Council for Voluntary Service – which is a key infrastructure organisation providing comprehensive support and development services to frontline essential voluntary and community groups. Ross is the latest addition to the SFC team having joined the organisation in September 2018 on a year-long placement from the University of Bath and is responsible for co-ordinating our social media platforms. He is studying an Education with Psychology degree and therefore also assists the team at SFC with the delivery of the various programmes we deliver to members in the local community. When not contributing to the team you are most likely to find Ross on either a football pitch or in a local gym with him having a great enthusiasm for sports and exercise! Ross is aiming to apply this enthusiasm for physical activity by running the Bath Half Marathon 2019 for SFC.